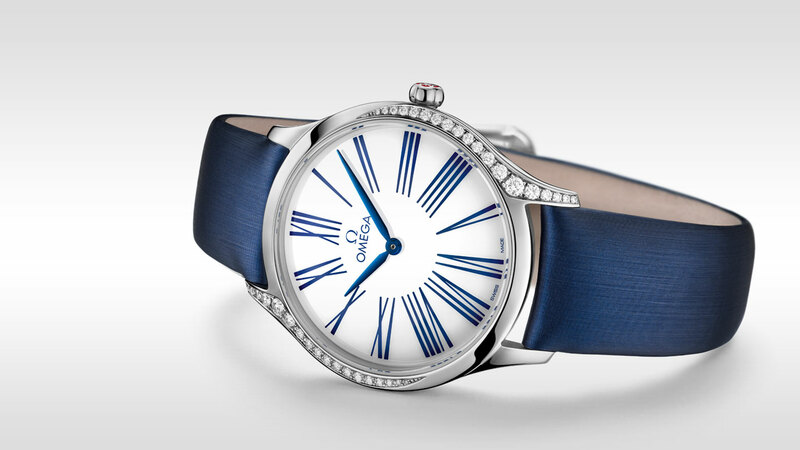 OMEGA has a long tradition of creating beautiful watches for women. In this contemporary collection, each watch has been crafted with a pure design and a truly modern edge. 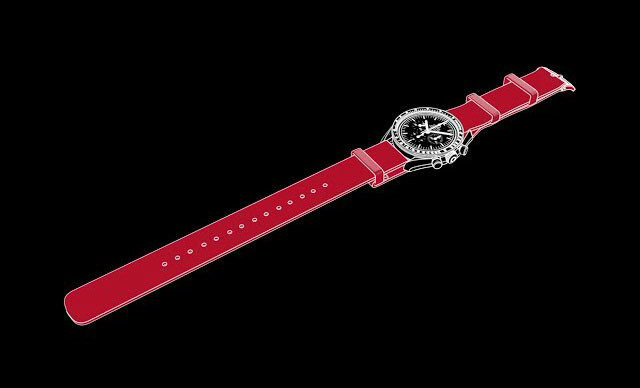 The slim 36 mm case is made from stainless steel and features diamond paving that curves along each side, as well as a crown that is polished with red "HyCeram" and set with a single diamond. 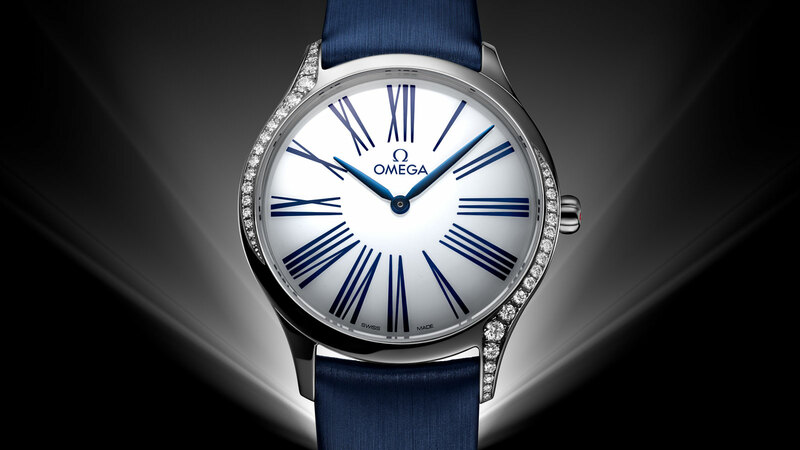 The lacquered white dial includes unique transferred Roman numerals in blue and elegant blued hands. 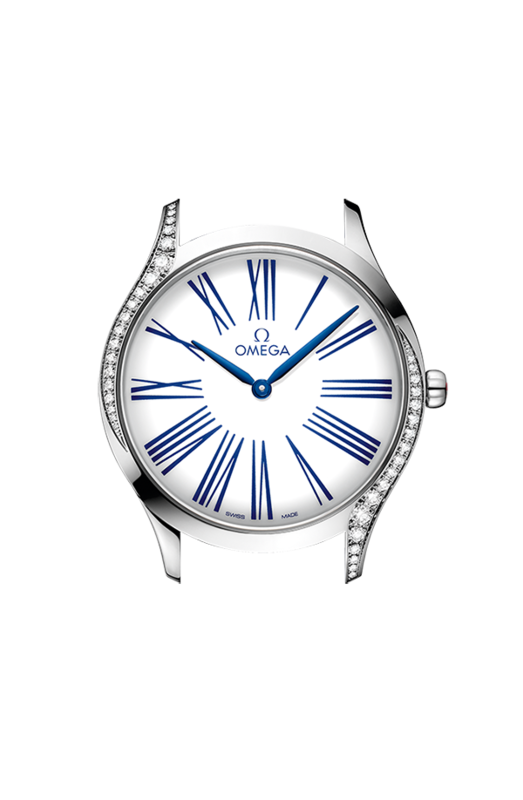 The watch is driven by the OMEGA calibre 4061, which sits behind a special mirrored caseback with a “Her Time” pattern. 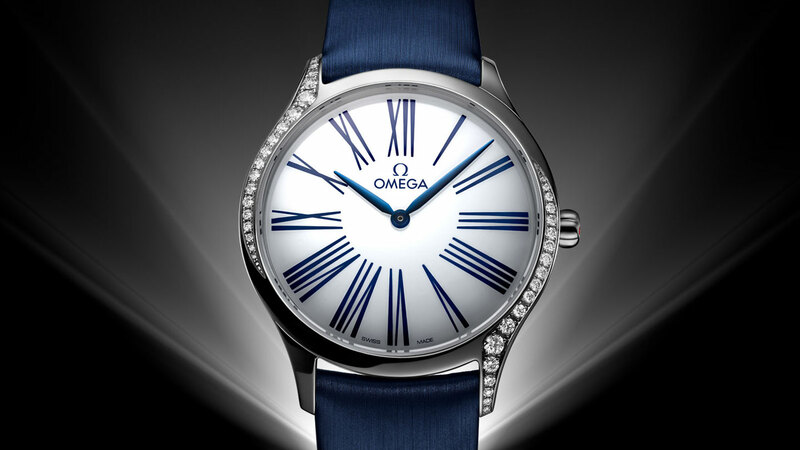 Finally, the watch is presented on a blue fabric strap. 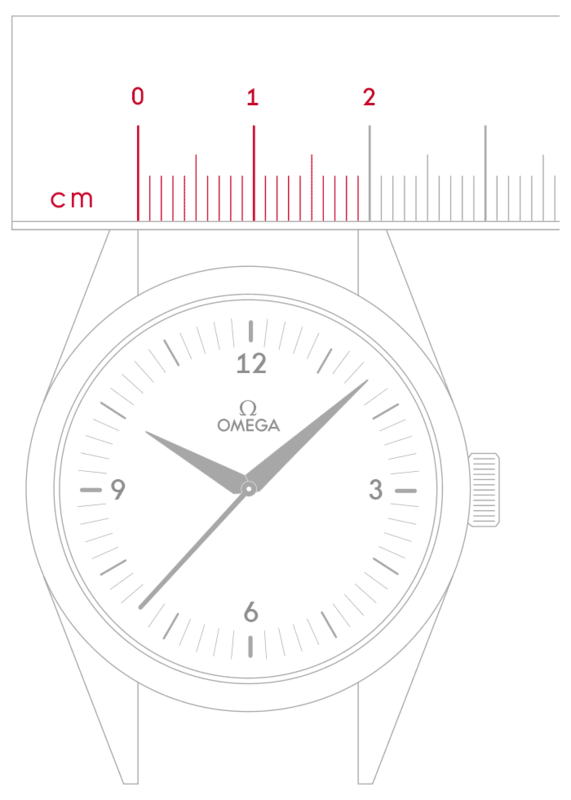 Quartz movement with "Long Life" feature to maximize the autonomy of the battery. 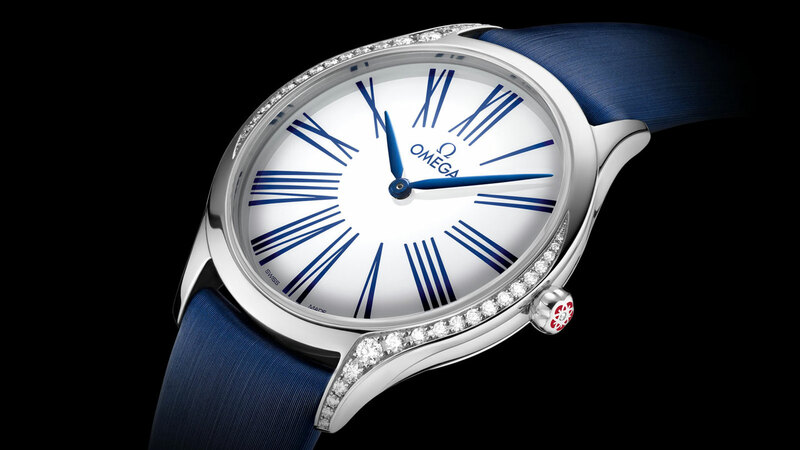 Exclusive red Omega logo with rhodium plated parts and circular graining. Most orders are processed within an hour of credit card approval. If a band adjustment is needed please allow an additional 2-3 Business Days for the watch to be serviced. Orders placed after 12pm EST, may not ship until the following business day. Orders placed on Saturday and Sunday will be processed on the next business day. Orders placed on an official holiday will be processed on the following business day. Signature will be required for all orders. We want you to enjoy your item as soon as possible, therefore all orders will receive complimentary 2nd Day express shipping unless otherwise noted. Orders approved Monday through Friday by 12 PM Eastern Standard Time will have same day shipment. Orders approved after the aforementioned times will be processed the next business day. Customer satisfaction is our goal. 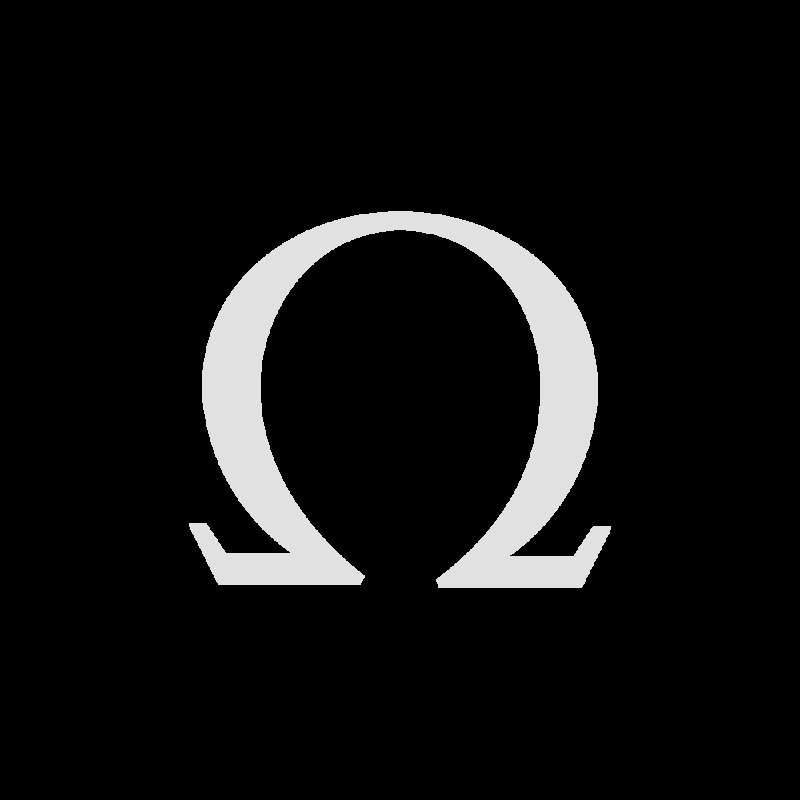 If you are not satisfied with your product, you may return any unworn, undamaged merchandise purchased online from www.omegawatches.com by mail within 14 days of delivery for a refund of the purchase price, provided that the merchandise is original quality and has not been damaged. Would you like to see how your watch looks with a different strap? Experiment with different combinations and discover a look that’s right for you.